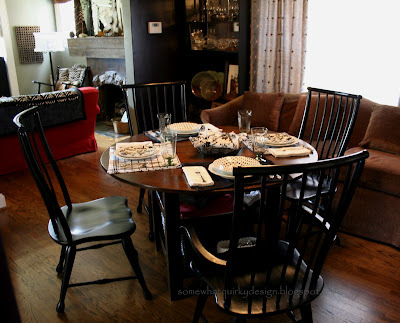 My dining room table is being featured to day over at Knock Off Decor! Whoo Hoo! That's pretty dang exciting for this little blogger. So please please please let your fingers do the walking and check it out! If you haven't been there yet - get there. 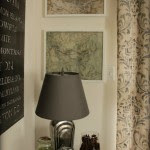 You will find brilliant work showcased like the Vintage Map Art from Restoration Hardware. I'm going to have to do some imitating of my own with this great tutorial provided by from Gardners 2 Bergers. If you cannot find something to inspire you on one of these blogs, well you might just be a rock! These blogs are just "must see" material. congrats on your feature, it's lovely! I've given you the Versatile Blogger award. You are Versatile. And awesome. Nice job on the feature! Very nice! I love to build. I worked at Pottery Barn and I used to get a 40% discount. I had bought a table from PB only to get it home to find it already broken. I took it back and just repainted my old kitchen table. Just because it's expensive doesn't mean it's quality. Where I really miss my discount is at Williams-Sonoma!